Released in July, the Slingbox M1 is new hardware for Sling, but it effectively maintains Sling’s place-shifting status quo. By contrast, the SlingTV is the same higher-end hardware from two years back—it’s a repackaged Slingbox 500, with little effort to hide that fact. Yet its brand-new interface represents a new step forward for Sling by adding value to the content you watch on your actual TV. The pricier SlingTV does everything that the entry-level model can, letting you shift live TV and DVR recordings to a web browser, smartphone, tablet, or even a Roku or Apple TV via a handoff from a phone or tablet. Where it really differs is the new Gallery feature, which is an overlay on your actual TV, showing you what’s on in a more visual manner than the usual bland channel listings, with artwork and Internet-powered info like sports scores and movie ratings. It’s an interesting addition in theory, but the Gallery doesn’t actually make finding content much easier or more enjoyable than the usual way of doing things. The SlingTV costs twice as much as the Slingbox M1—$300 vs. $150—but doesn’t make its value proposition particularly clear. At the very least, you’re paying for quite a bit more plastic: the SlingTV is much larger than its sibling, and while the curiously angled box proves strangely alluring, it won’t blend as well into your entertainment center as the simply designed M1 can. The M1 is just a black box. SlingTV, on the other hand, is...pointier. The other major difference in the hardware is that the SlingTV features HDMI-in and -out ports for linking up your cable or satellite box, while the M1 relies on component or composite. But much of the content coming through the SlingTV will be blocked by HDCP security restrictions, so you'll also need to link up component cables to be sure that everything will play. A USB slot lets you view media content saved on an external drive, but Sling says it will remove the software for that functionality in the coming months due to limited user interest. So the Gallery UI—also available for the old Slingbox 500 via update—is the primary distinguishing feature between the boxes, and the promise is there. It seeks to offer a more visual way to browse your channel listings and discover intriguing shows, movies, and sporting events. Simply tap the power button on the SlingTV remote and the menu pops into view, letting you access the Gallery and start browsing. When you select something to watch, it will simply send the channel code to the cable/satellite box and change the station before hiding the UI from view. The Gallery is messy, however—it’s less organized than my Comcast box’s channel listings and slower to navigate. There’s no clear rhyme or reason to how the primary “All” listing picks its content, showing only a limited selection of TV shows and movies in no obvious order. Images make it easy to visualize what’s on at a glance, but only when there’s artwork on file. At times, you’ll just see a word like “Tennis” or “Girl Code” set upon a black backdrop. The Gallery could improve with some updates; for starters, it needs to stop suggesting premium content I don't subscribe to. Being able to browse current sports scores—and see them ranked by recommended viewer interest via sports website Thuuz—is a nice perk. You can even view box scores of games in progress. Having Rotten Tomatoes scores and icons in the movie listings is likewise very handy. But the Gallery isn’t smart enough to recognize which channels you don’t subscribe to, and thus will fill your listings with content you can’t actually view. It’s particularly rough in the Movies tab if you don’t pay extra for premium channels, and you can’t manually modify the listings. Right now, the Gallery seems like an early work-in-progress. It may well become a useful, intelligent tool over time, but for now, I can’t imagine actually using it in my day-to-day viewing. It’s an unnecessary added step. And aside from the Gallery, the only other software addition is access to apps, but as of now that means B-list subscription services like Blockbuster On Demand and DishWorld. The same core place-shifting experience seen in the M1 works identically in the SlingTV, however, letting you stream live television, DVR recordings, and on-demand content out to supported platforms. When on a strong Wi-Fi connection, the video quality is excellent—up to 1080p, depending on device. Over LTE or a weaker connection, the results are less impressive, but as long as the network is steady, you can take your content practically anywhere. Adding a SlingTV to your setup lets you place-shift anything you can see on your TV, which means a lot more sports on your tablet than you'd get from just the various networks' own apps. And the new Thuuz scores help you determine which game is the most exciting at any given moment. Viewing via the web player is free, but the iPad, iPhone, and apps for Android phones and tablets, Windows Phone, and Kindle tablets are all sold separately for $15 a pop—considering the price of the box, that’s a frustrating add-on after the fact—and Apple TV and Roku use requires the app, while viewing via the web player is free. Native Mac and PC apps are currently offered to M1 users only, but will soon reach SlingTV users as the company moves away from browser plug-ins. 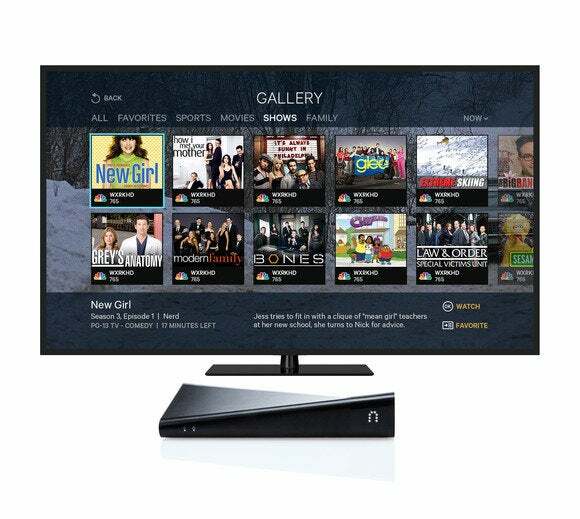 Like on the Slingbox M1, the SlingTV offers additional value and convenience to cable and dish subscribers, and even in an era of ever-increasing streaming apps from major networks and providers, there’s real benefit to an all-in-one place-shifting solution like this. That said, the SlingTV struggles to justify the doubled price point over the entry-level M1, with the Gallery’s lightly helpful perks outweighed by disorganized listings and pages potentially filled with inaccessible content. It’s a solid idea that may turn great with software updates and intelligent filters, but its current state makes the higher-end SlingTV tougher to recommend. The SlingTV offers the same great place-shifting experience as the half-priced M1, but the added features here don't warrant the extra cash.